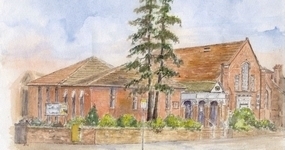 As you will be aware Hatfield Road Methodist Church is this year celebrating its 125th Anniversary. Here below is the current list of planned activities. These will all be further outlined in a printed programme of events all members and friends of the Church will shortly be receiving. This will include instruction on how to put your name down for the celebration meal. There will also be opportunity for you to volunteer to assist over the main week in June in a number of ways. Please make sure these dates are in your diary to avoid disappointment. A Pilgrimage celebrating our Story. Starting in Verulamium Park and finishing at the Church with tea and cake around 6.00pm. A service in the form of a ‘Songs of Praise’ celebrating our story in song, and hearing from members of our Church today about what their faith means. Come visit the Church to see a series of displays that capture the story of the Church, its work today, the Christian faith we proclaim, and our hopes as we look forward to the future. Local schools will be invited to view in the afternoons. A Celebration Outdoor Tea Party including Live Music followed by a service outside in the Church Car Park at 6.00pm. This will remind us of how our Church began with public outdoor preaching which firmly planted it in the Local Community and how we seek to be a part of it and serve it today.